Registration fee is for breakfast only; attendance without breakfast is free. 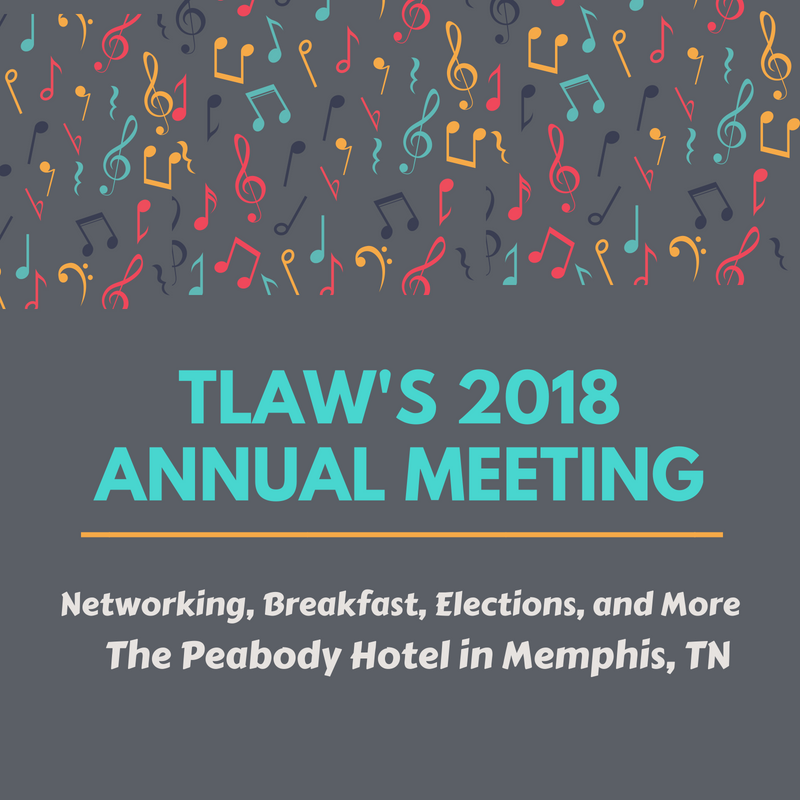 Join us for TLAW's Annual Meeting at the Peabody Hotel in Memphis, Tennessee. Location: Bert Parker Room ~ Time: 1:15p-1:45p.